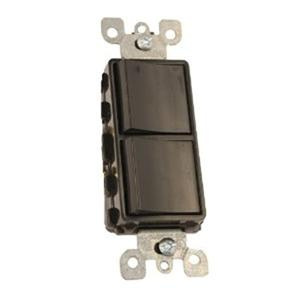 Leviton Decora® Commercial-grade AC combination switch in black color, has voltage rating of 120/277-Volts and current rating of 15-Amps. This 1-Pole switch with double-wipe contacts, has impact-resistant thermoplastic construction for enhanced durability and damage protection. It measures 4.2-Inch x 1.31-Inch x 1.06-Inch. This grounded switch supports side-wiring for making installation easier. It has maximum load capacity of 1/2 hp at 120-Volts and 2 hp at 240 - 277-Volts. 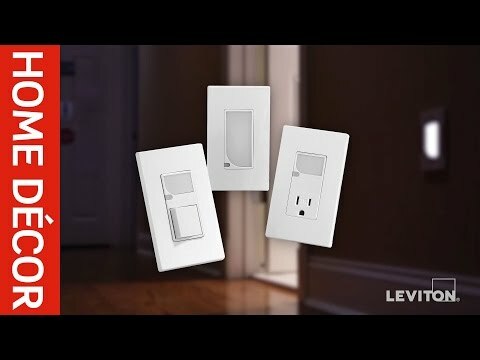 Switch is UL listed and CSA certified.